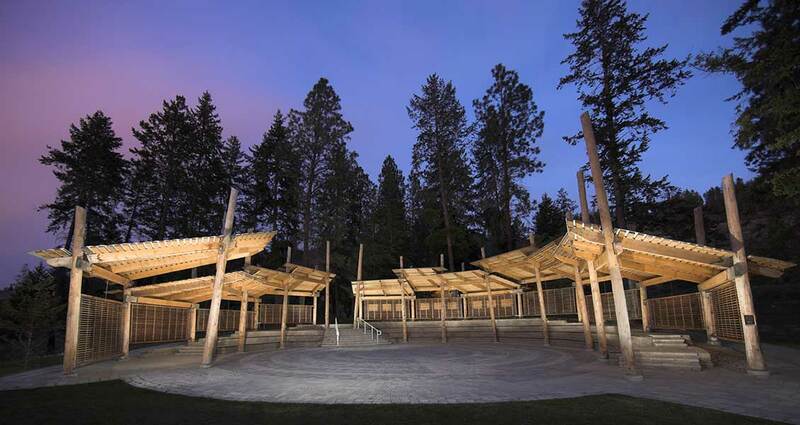 The Okanagan Mountain Fire Pavilion was commissioned in the wake of the 2003 firestorm at Okanagan Mountain Park, for a dual purpose, to educate and to cultivate community. 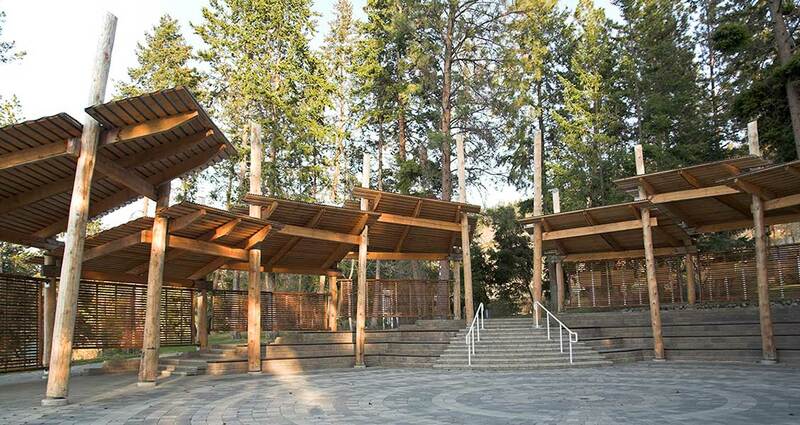 The pavilion serves to illustrate the devastation of the 2003 Okanagan Mountain Fire in order to raise awareness of the impact of the fire, the Mountain Pine Beetle problem and the fragile nature of the woodland setting. 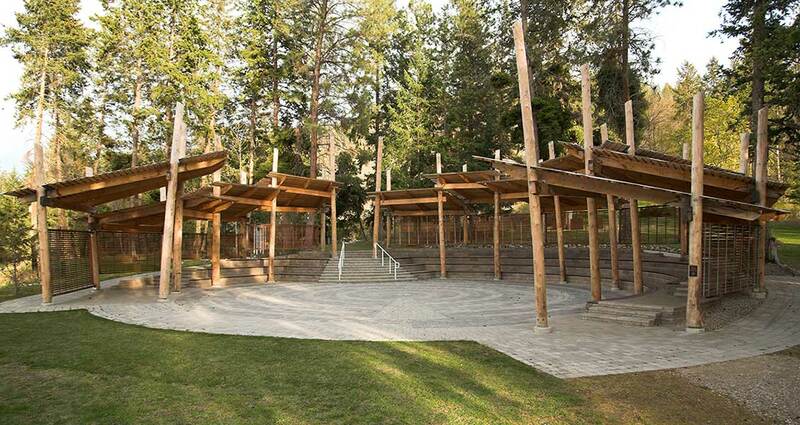 Additionally, the Pavilion provides a community gathering area amidst a beautiful natural setting in Bertram Creek Park in Kelowna, BC. 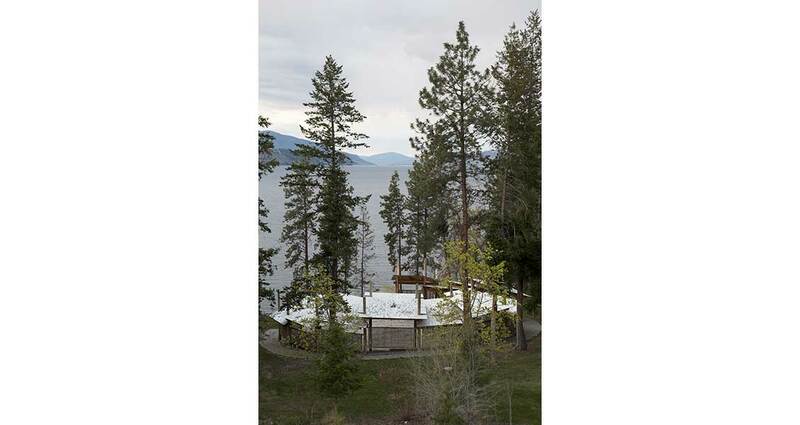 Designed and constructed in conjunction with the Central Okanagan Regional District, it is an open-air structure that is available to the public year-round. The goal was to create a design that would take visitors along the path of a forest’s lifecycle, with special consideration for naturally occurring environmental impacts and the resulting rejuvenation of the forest. We designed the structure to fit into the surrounding environment, to function in unison with nature and to fully engage the landscape. This project and associated land restoration efforts reflect the community’s commitment to locally sourced materials and sustainable initiatives. The quality of construction and high level of craftsmanship were controlled by assembling the structural elements off-site and then installing on-site. 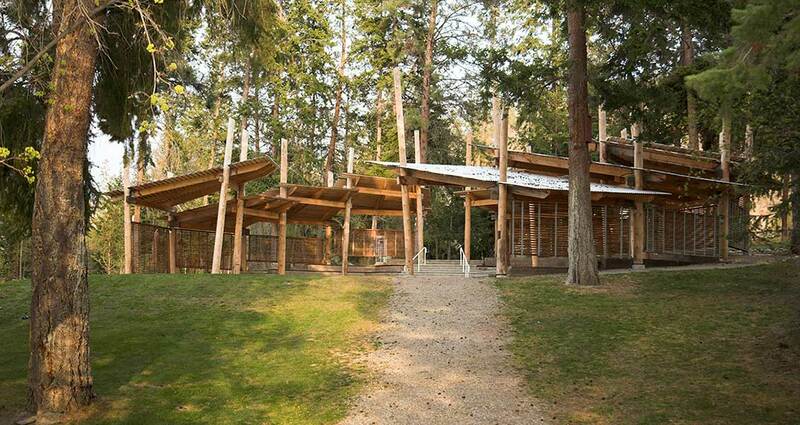 Wood claimed by the pine beetle infestation, site harvested wood and locally produced products were used in the construction of this structure. Timber was reclaimed, salvaged and milled locally. 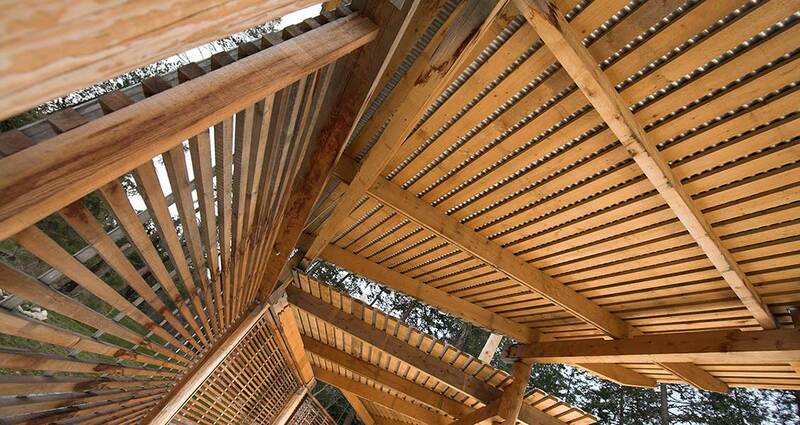 This project was recognized with the Green Building 2008 Award for Woodworks in BC.